There are life lessons you can learn from all situations. Here are 10 from my dad. Have you met someone, or known someone close to you, that woulda been, coulda been, shoulda been great? I do. It’s painful to say this, but it was my father. Born on July 20th, 1939, he passed away on September 9th, 2008, only 69 years old. A life too short. He was smart, funny, and hard working. Those talents were, in my opinion, squandered. For whatever reason, my dad’s envy, bitterness, and alcoholism stopped him from being a great man. I loved him. I wish every day he was still around. As much as he embarrassed me with his drinking, he was still a good dad. But I know he could have been great. He taught me a lot, but not in the traditional way, it was more learning through observation. Often as much about what NOT to do as what to do. And so on today’s show, as we approach what would have been his 78th birthday, my dad’s going to share with us 10 life lessons for success. I wish he was here to teach them, but we’ll have to learn through stories instead. Let’s get started with today’s episode of ETR radio and show you how to make the most of your gifts, and to live and love with an open heart. Here are 10 life lessons from an unconventional man, Howard Ballantyne. A man shouldn’t die before his 75th birthday. 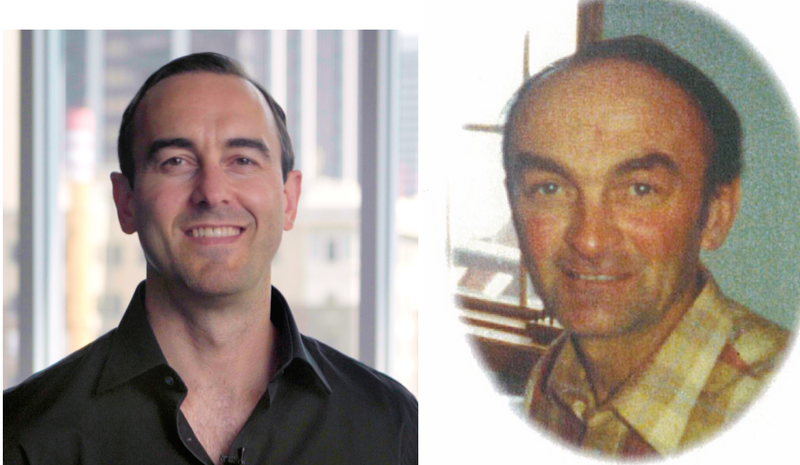 Despite his shortcomings, I’m the proud son of Howard Ballantyne, an unconventional man who believed that the most important lessons aren’t taught in school. When you’re a farmer’s son, you get to see what a good day of honest work looks like. Cattle don’t take holidays from eating or pooping. That meant Dad was up early every morning, hungover or not, and he’d feed the cattle before feeding himself. The same thing went for dinner. Animals before humans. Every day. Rain, shine, sleet, or snow. Not only did he have to feed the animals, he had to grow the feed. A farmer’s life is almost like groundhog day, but with four seasons. Farmers are in a perpetual cycle of plant, grow, harvest, feed. Every year is pretty much the same. It’s like a treadmill you can’t get off, but in some strange way, it’s incredibly rewarding and peaceful. As a farmer in the 80’s and 90’s, his occupation was on the cusp of automation, yet there was still a massive amount of manual labor in his day. He was a jack of all trades. Not just a farmer, but also a welder, electrician, plumber, and mechanic. He could fix engines, build machinery, and keep the house running. He was also a part veterinarian, tending to over 100 cattle per day. He delivered calves, tended to sick animals, and also spent plenty of time chasing them, too, especially when it came time to send them off to the butcher. My father’s hands looked like they had lived three lifetimes. There were parts of fingers missing from being caught up in machinery (which wasn’t uncommon in our community). In the winter his hands were cracked from working in the bitter cold. In the summer his hands and forearms were tanned a dark, dark brown from the sun, and with the color on his face, my Scottish father could easily pass as a Spaniard. This life lesson of having strong work ethic sunk in at an early age, although I took a little detour. My father worked manual labor all day, every day. But much to his – and my mother’s – dismay, I worked all day every day to avoid manual labor. Today it doesn’t bother me to start work before sunrise and go till past sunset. That’s not something I should be doing, but I’m not scared of it… and it’s all because I watched my father do the same thing for many years. My father certainly wasn’t a holy man in the traditional sense, but when it came work, he was as righteous as a man could be. Father of the year, my dad was not. That said, in some ways, he was a better parent than many dads of today. He loved to attend my hockey games. He tied my skates for years when I was young. And he caused me enormous embarrassment in my teenage years when he’d show up at the rink for my games in a drunken stupor. But he didn’t go to a single one of the hundreds of soccer games I played as a kid. He just didn’t care. But neither did I. All I wanted from my parents was a ride to the game. I was there to see my friends, not perform for mom and dad. That’s why I don’t understand helicopter parents, the ones who suffer from great guilt and shame if they can’t make every single piano practice or football game. Your kids probably don’t care. So let them go and have some fun. All that matters is that you drop them off and pick them up on time. Consistency is king. Of course, when kids are really young, they want to spend time with you. And they want you, the parent, to be focused on spending time with them, not checking your phone. Jim Rohn has a great quote. He said, “Wherever you are, be there.” My dad never had a cell phone. He never used the Internet. I don’t even think he ever touched a computer. But even if he did have a phone, I can’t imagine him checking when we would play catch in the backyard. He was present. Every day in the summer, right after lunch, we’d play catch. He’d teach me how to throw a curve ball. Sometimes he’d pitch to me. And sometimes he’d hit me with a fastball, and he wouldn’t care. “That’ll toughen you up,” he’d say. And we’d play until we lost all of the balls in the garden. Jim Rohn would have approved of his attention to me, if not his attitude about the fastballs. But my father didn’t care much for other people’s opinions. He was as comfortable in his own skin as anyone could be. Comb his hair? Dress up? Follow convention? Not unless he was forced to by mother when attending a wedding or some big event. There was only one rule in my father’s mind. And that was, there are no rules. Or as he probably would have said, “F the rules.” Not many people have the courage to throw caution to the wind, but he did, and I admire him for it. It’s not easy to take the road less traveled, but when that road is chosen wisely, you’ll often be better for it. While he didn’t care for convention and what other people thought about him, he struggled with his opinions of other people. For some reason, he destroyed many of his relationships. Friends today would be gone tomorrow. I remember my father cycling through drinking buddies on a 3-6 month schedule. One day I’d get home from school and there’d be a new truck or van in the driveway. Dad would be in his shop with some stranger, and they’d be sitting around with beers. This would go on for months until one day, suddenly, that drinking buddy would disappear from dad’s life. As I grew older and noticed this happening time after time, I finally realized that my dad was destroying relationships. He had bitterness and jealousy towards his old friends, criticizing them behind their backs, or making fun of them in their presence. My father was born in a generation where a man didn’t show weakness or ask for help. What a shame. If he had only… Well, we can’t play that game. He didn’t. And he paid the price. Fortunately, today is different. It’s still not easy to ask for help, but it’s easier to admit when you’re down. It’s okay to be vulnerable. And in fact, as I’ve found, the more vulnerable you are, the less you hurt. It’s a paradox. If only my dad had been strong enough to say to my mom, or anyone, that he needed help with his drinking, and whatever it was that drove him to drink. If only he had gone to the doctor every couple of years. If only he would have spoken up about the fears, anxiety, and worries in his head. From asking around it sounds like my dad’s side of the family long had a history of mental health struggles. My dad’s dad died in suspicious circumstances that sounded a lot like suicide. And my dad held that in forever, and that fear and anxiety festered like psychological cancer. It ate him up inside because he never let it out. Maybe that’s why I talk so much about this, and my anxiety, and why I’m willing to look high and low to continually evolve. It’s because I’ve seen what can happen to you when you don’t. Suffering in silence will get you. It gets everyone. It’ll bring you to your knees no matter how strong you think you are. I’ve never seen anyone outrun it. So take it from my father, even though he didn’t teach it directly. Ask for help. Or pay the price. My dad never understood how hurtful words could be. I picked up this trait and it nearly destroyed my relationships as well. Fortunately, I had friends like Bedros Keuilian, Joel Marion, and Matt Smith who were strong enough to make me aware of my problem, and who were kind enough to support me as I worked to overcome it. As cliché as it sounds, this quote truly changed my life. It’s something I think about regularly, especially when I’m in a coaching environment and know that it’s not just the advice I give to my clients, but how it’s delivered that is so important. I learned long ago that you can be smart and give good advice to people, but if you’re a jerk when you do it, then all they remember is that you’re a jerk… and the good advice goes out the window. People will give you a second chance, but as my father found out the hard way, and as I did too, they aren’t going to take a bad attitude forever. And eventually, you’ll run out of people. If only my dad had too. It was a valuable lesson to learn, but I’d rather have learned it from watching him do the right thing, rather than being shown what NOT to do. Ah yes, what NOT to do, this is where my father excelled in instruction. Some days I can’t believe he lived as long as he did. He drove like a maniac, often drunk. He climbed external ladders on 80-foot silos, dangling one arm and leg off the rungs as he reached the top. He raced snowmobiles at 70 miles an hour without a helmet. One time, while he was drunk in the afternoon and cutting wood, he hit himself in the face with a chainsaw. He grew up playing goalie in ice hockey, back in the days when there were no helmets or masks. One time a slapshot hit him in the head and sent him to the hospital. To my father, a “Keep Out” sign meant “Come in! All the good stuff is in here.” Perhaps his recklessness is a reason for my conservatism. He lived on a diet of coffee, sandwiches, and candy. Each night he’d eat 2 chocolate bars and half a bag of cherry licorice or some other candy. And yet he never had more than 160 pounds on his 5 foot 10 frame. He didn’t have many teeth though, either. He didn’t visit a dentist or doctor for over 30 years and eventually, it caught up to him. In 2007 my mother rescued him when he was minutes from death. He was sitting in his truck slowly dying. His blood oxygen levels so low that he was nearly dead when she dragged him from his truck and drove him to the hospital. It was there that the doctors discovered his body was full of cancer. He’d probably had colon cancer for nearly 10 years at that time, our family doctor said. By then it had spread to his organs and to his liver. He spent the next 18 months growing gradually weaker. It hurt to see the man that I once saw as a superhero slowly turning into skin and bones in front of me, but the bright side is that my mom bought him an extra year and a half of life that day. It’s one of the greatest gifts she’s ever given me. Over those 18 months, my dad and I spent a lot of time together. We’d drive down back country gravel roads, checking out the corn in other farmer’s fields. He’d ask me to take him to a farm equipment dealer to check out used tractors. And I’d drive him to various hospitals for his tests and treatments. We didn’t talk much during that time. And if we did, it was only superficial. When I wasn’t home, he’d call me at my place in Toronto almost every day at 4:30 pm and ask me what the weather was like. Then he’d tell me what the weather was like at home in his little city about 90 minutes southwest. We’d then stumble awkwardly through some small talk until he’d abruptly say, Alright, I’ll let you go. We were both too stubborn and uncomfortable to probe deeper, to ask serious questions, or broach topics of significance. I’m not sure if either of us would have been open to it anyway, should one of us brought something up. The consistency and presence was reassuring, but the isolation in his communication over life was his downfall. He wanted to and needed to talk it out. He had demons in his mind and obstacles in his way that held him back, that left him emotionally immature and stunted in his relationships. I wish he could have broken through but neither was I wise enough to see this back then. The big lesson here for you is that communication beats isolation when there is something bothering you. It’s a lesson I’ve had to learn the hard way, through experience and failure, over the last 10 years because my father was unable to teach it to me. Whatever it was that led him to alcohol and recklessness, it might have been resolved, and certainly helped, had he just been able to drop his guard and open up. Don’t make the same mistake as him. I did for many years, but when I finally opened my mouth, set aside my ego, and spoke from the heart, it was what started my personal transformation that has made all the difference in my life. Never once did my dad speak of dying. It’s almost like he didn’t believe he ever would. Or perhaps he was too scared to confront it and to admit that he wasn’t invincible. He never was much of an adult. He ate like a kid and he avoided all adult-like conversation. He didn’t seem to take life seriously. He liked being a farmer. He didn’t make a lot of money, but he was free. He didn’t have a boss. Then again, I don’t think he could have had a boss. No company would have tolerated my father, and my father wouldn’t have tolerated any company. He was a wild kid at heart that just never grew up. In some ways, that’s inappropriate. But had he lived well, communicated better, and had good health habits, I think you could have said that he’d have won the game of life, and he’d have been at peace with himself. Rituals made my father effective, and rituals brought him to his knees. On the bright side, he knew the value of rising early, working hard, and respecting the seasons. He understood the literal concept of planting and reaping what you sow. Had he only understand the figurative concept, his personal relationships would not have been such a mess. His mistaken rituals, of suffering in silence, avoiding communication, and drinking in the afternoon, robbed a talented man of a life well lived. But even in error, there are things to admire and remember. Rituals are consistency in action. Consistency and continuity are what we crave. We want to know that dad’s coming home at a certain time. We want to know that, if we needed him, he’s around. That’s why, even though my father failed in so many areas, that he was still a good dad after all. One of my favorite rituals from my father was his lazy late summer afternoon ritual. Each day around 3 o’clock, he’d get the paper, put a lawn chair under our old willow tree in the backyard, and sit there in the shade with his shirt unbuttoned and a beer beside him. I can still see him now, the breeze rattling the paper, his legs crossed, and him in his happy spot. When my father passed in 2008, I wrote a poem about this ritual and that blue and white lawn chair that he’d sit in on hot summer days. I’ve never read the poem out loud before so this is a little weird. But it’s how we’ll end today’s show, a fitting conclusion to his 10 life lessons. I’d love to hear your favorite lesson from my dad. 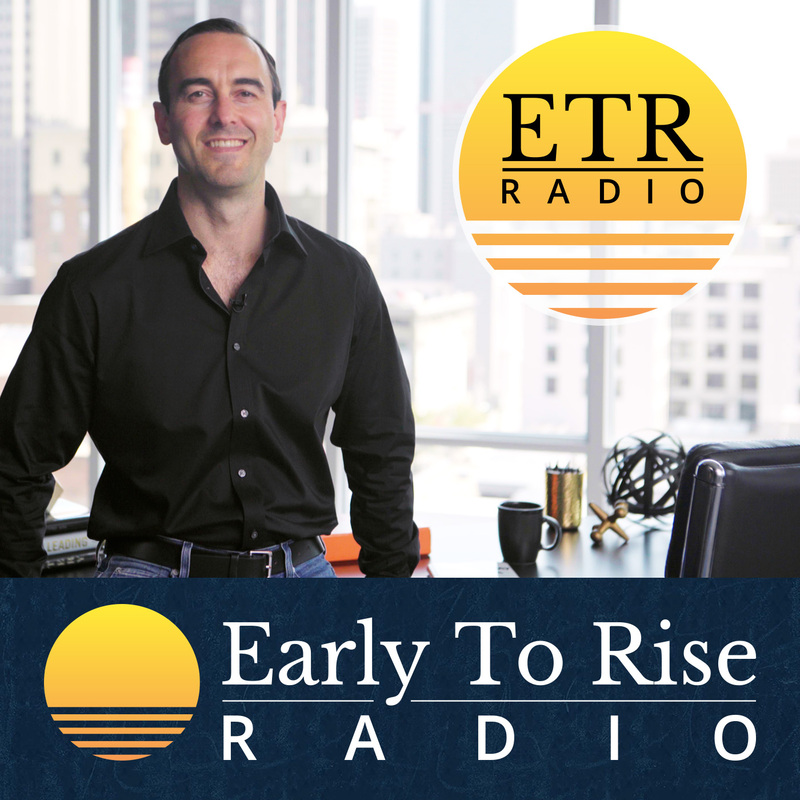 Please send me your feedback to Support@earlytorise.com, Instagram, Twitter, or Facebook.